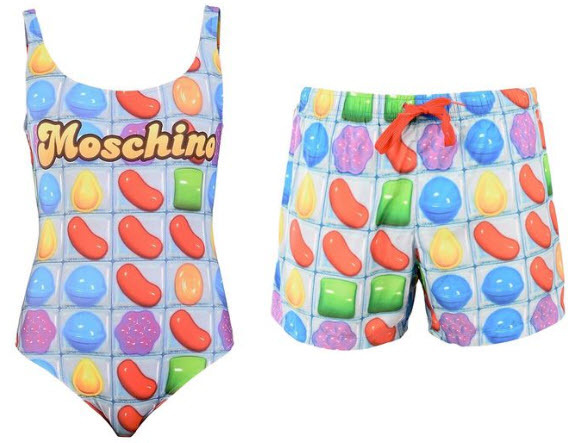 Moschino has launched a Candy Crush capsule collection. Candy Crush is the popular mobile game from King. The collection was designed by Jeremy Scott. It celebrates the fifth anniversary of the Candy Crush franchise. Scott says in a statement, "As someone who is inspired by pop culture, it was only a matter of time till I'd play with the iconography of Candy Crush. The only thing I love more than playing the game is wearing it!" The product launch is being celebrated at Coachella where there will be an event space transformed into a Candy Kingdom. Highlights from the game will be brought to life with unique props. Sebastian Knutsson, Chief Creative Officer at King, says in a statement, "We couldn't think of a better partner to transform Candy Crush into this fun and playful capsule collection that our players will have a chance to own and wear. Moschino and Jeremy Scott are known for their larger than life creations and bringing popular culture to the runway, so it's the perfect partnership as we prepare to mark the five-year anniversary of Candy Crush Saga." 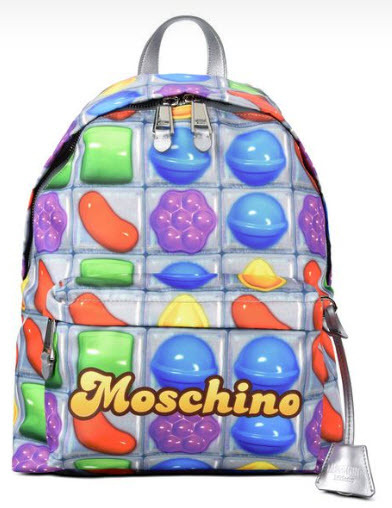 The Candy Crush items are sold on moschino.com. The items include a swimsuit, swimming trunks, handbag and iPhone 6s/7 phone cover. Prices range from $70 to $650.